Our range of products include doxofylline and salbutamol sulfate. 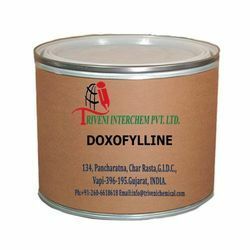 Doxofylline (‎69975-86-6) is Solid. it is use in Anti-asthmatics Industry. Storage: Keep container tightly closed. Keep container in a cool, well-ventilated area. Waste Disposal: Waste must be disposed of in accordance with federal, state and local environmental control regulations. 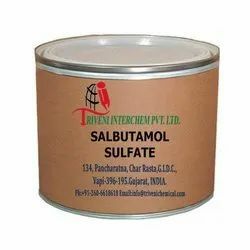 Salbutamol Sulfate (51022-70-9) is white solid. It is also known as Salbutamol Sulphate and Salbutamol Hemisulfate. it is use in anti-asthmatic, chronic obstructive pulmonary disease and bronchodilators Industry. Looking for Anti-Asthmatic API ?